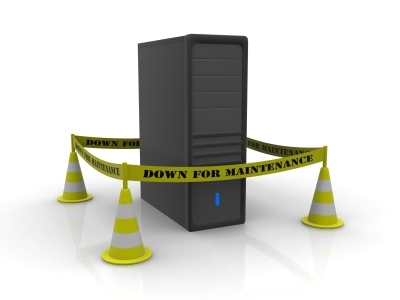 Data center downtime is one of the most expensive—and deadly—threats facing IT professionals today. The overall cost of downtime can range from thousands of dollars per minute to hundreds of thousands of dollars per hour, depending on the size and severity of the outage. Lost revenue: When customer-facing solutions like VoIP, website and transaction servers fail, revenue can come to a screeching halt. This is particularly true for businesses that operate almost entirely online. If customers can’t complete transactions, they will be quick to seek out the services of one of your competitors. Employee productivity: Downtime affects more than customers; it hampers internal productivity, too. When employees can’t access the Web, most businesses processes stop until the network is repaired. Labor: How do you want your IT department to spend its time: repairing your core network every time it fails, or implementing new cutting-edge solutions to drive revenue? Don’t pay top IT professionals to perform grunt work. Customer trust: By and large, customer trust is one of the biggest costs that you will have to pay for downtime. If customers learn they can’t trust your network to operate, they’ll see your business as unreliable, too. Click here to learn more about how Server Technology can provide you with data center power distribution and monitoring technology so that you can prevent downtime anytime.